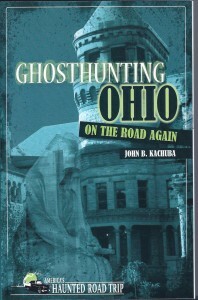 Another delightful road trip from Kachuba, author of Ghosthunting Ohio. 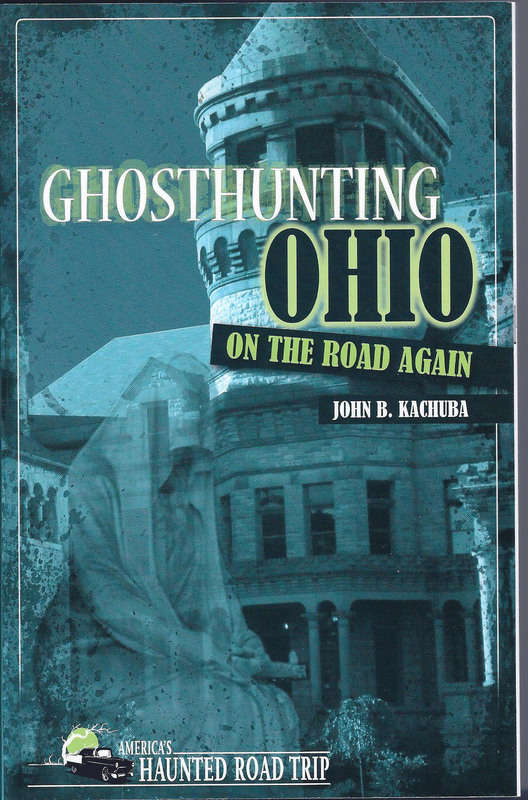 The author alternates longer stories with intriguing “spotlights” on one of many Ohio ghost hunting groups and tours, or locations by theme like hotels or universities. He also includes “Legendary Ghosts” to highlight the difference between folklore and a more journalistic investigation of a current haunting. The book is arranged geographically and includes stories from Chateau Laroche (The Loveland Castle), the Cincinnati Observatory, Ross Gowdy House in New Richmond, the skeletal driver of Englewood Dam, Snow Hill Country Club, Promont, Utopia, Oliver House in Toledo, Thomas Edison’s birthplace, Wood County Historical Center & Museum, Kelton House, Thurber House, Central Ohio Fire Museum, the Ohio State Reformatory, Malabar Farm, Franklin Castle, Lawnfield, Agora Theater, Cuyahoga County Archives Building, Punderson Manor, Stone Garden Farm & Museum, the Ashtabula Train Disaster, The Ridges in Athens, Moonville Tunnel, and the Briggs-Lawrence County Public Library in Ironton.